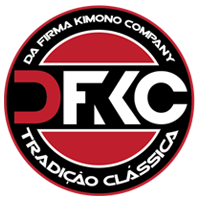 DA FIRMA KIMONO COMPANY was created out of a love for what we all feel is the most pure martial art in the world. We took everything that we liked about every kimono we have every owned and put it in to our product. We don't make kimonos for one bdy type. We have standard, long, short, and middle sizes to fit every bodytype. With 47 sizes available for men, women and youth, we are sure to have a fit for you! No more ordering the A4 top with the A3 pants. You will just need to buy one size and roll! From the inception of company our number one goal was TOP QUALITY construction fit and feel. .